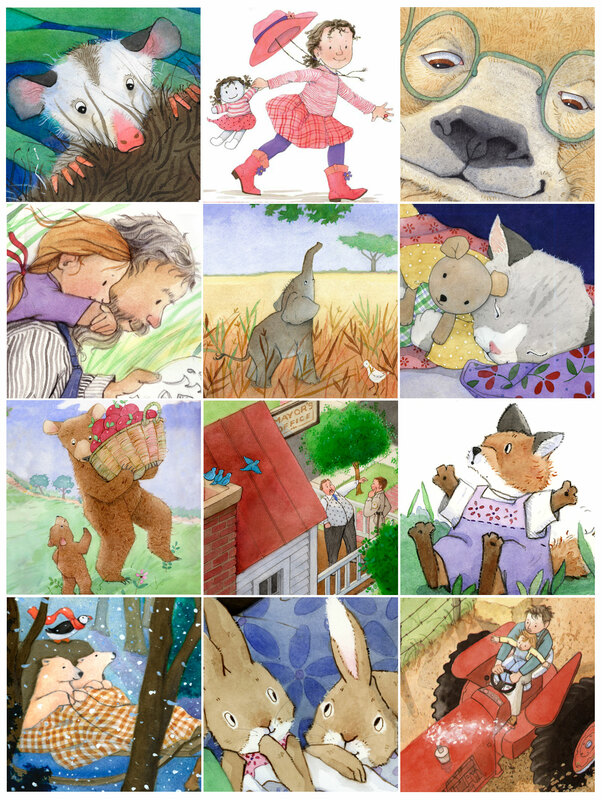 FYI: The books listed on this page were created with traditional watercolor paints. It was my steadfast illustration technique for many years. Unfortunately, the paper best suited to my ‘style’ decreased in quality causing both frustration and inferior results. At the same time, I developed a problem with my eyesight that could not be corrected with prescription glasses. Minus 20/20 vision, working with tiny brushes was a nightmare! I decided the universe was trying to tell me something… it was time to change my routine and utilize new techniques and materials to create my art. Although I am unable to offer the exact style as represented in these books, I am happy to say that amazing things can be accomplished without ever picking up a tiny brush! Please visit the PORTFOLIO page to see my latest work.